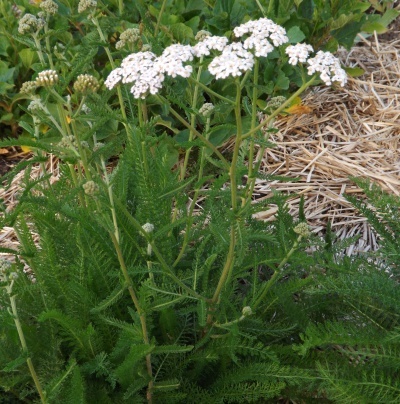 The medicinal properties of yarrow have been known for centuries; it is used to cure a bad cold and to cleanse the system, among other things. The leaves and flowers are gathered in the summer and fall, and used to make a mild tea. It acts as a mineral accumulator, a nectary plant, a shelter for beneficial insects and makes a good ground cover. Use in moderation, as all parts of this plant can cause digestive disturbance.